As an American who’s lived in Asia for several years, I never thought much of Guam before visiting. I thought that it was a tiny island without much to do, and no appeal for tourists. I thought it didn’t have much to offer besides a military base and American style shopping malls. So when I visited there earlier this year it turned out to be a pleasant surprised. I booked a few days but wish I had the chance to stay longer - not only did I enjoy the shopping and taste of home more than I expected, I wanted to explore many of the island’s famous natural sights (much of which only become apparent if you actually visit). Guam may not be as well known or touristy as other areas in East Asia - such as South Korea and Taiwan - but it has more than enough to make it worth a visit. 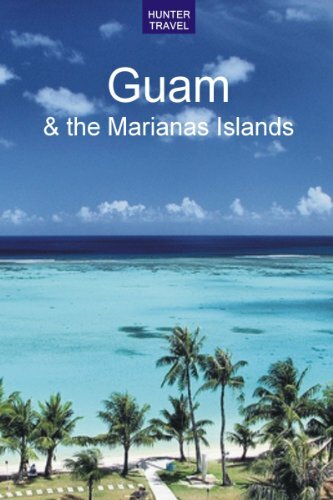 This article goes over some of the best sights in Guam, both for shopping and natural scenery. One of the biggest appeals in Guam, for both American and Asian tourists alike, is the shopping opportunities. Micronesia Mall is a great example. The largest shopping mall on the island, Micronesia Mall first opened in 1988 and now contains over 100 stores that are sure to make American expats in Asia happy. There’s everything here from a Macy’s, to Gamestop, to Foot Locker. There are also plenty of fast food and higher quality restaurants, some of which may be hard or impossible to find elsewhere in the region. When I visited Guam I didn’t think I’d be as happy to visit this mall as I was, but it really was a nice reminder of life back in the United States. Closer to my hotel in Tamuning was Guam Premier Outlets, which is another American style shopping center, though not quite as large or expansive as the Micronesia Mall. It’s more central location on the island makes it good for those staying in the area, however, and there’s still a few good shopping opportunities there - such as a food court with great American fast food, and plenty of souvenir shops. Some of the best sights in Guam are historical monuments. There’s plenty in terms of local, Chamorro history, as well as more American history - such as World War II monuments. There’s also plenty to see that originated during the Spanish occupation as well. One great example of the latter is the Dulce Nombre de Maria Cathedral-Basilica, the first Catholic Cathedral on Guam. There’s also the Plaza de Espana, which was the governor’s office during the Spanish occupation. For a more local Chamorro flavor you can check out the Latte Stone Park, in which old Chamorro houses dating as far back as 500 A.D. can be found. Finally there’s plenty for World War II buffs, including an entire park - The War in the Pacific National Historic Park - dedicated to history’s biggest war, as well as many actual remnants from the war itself, including sunken ships and planes off the island’s coast. No mention of Guam would be complete without its natural sights. Guam is far more beautiful than you may expect, with some unique sights that can't be seen in the rest of Asia. While much of the island seems like a typical American suburb planted into the Pacific, there are glimpses of beauty even in the more common, residential areas. The view of the ocean just across the street from my hotel was a sight to behold. Not to mention the more touristy sights - such as Two Lover’s Peak, a sight where two lovers reportedly jumped to their deaths during the Spanish occupation. Guam is also host to incredible waterfalls, such as Talofofo Falls Park, and more remote destinations like Cocos Island, a small Oasis off the coast of Guam. All of these - the shopping, history, and natural beauty - add up to make Guam a pleasant surprise. Guam may not be the top of most people’s list when it comes to places to visit in Asia, but it makes an excellent side trip for those living in the region - for both American expats and Asian tourists alike.